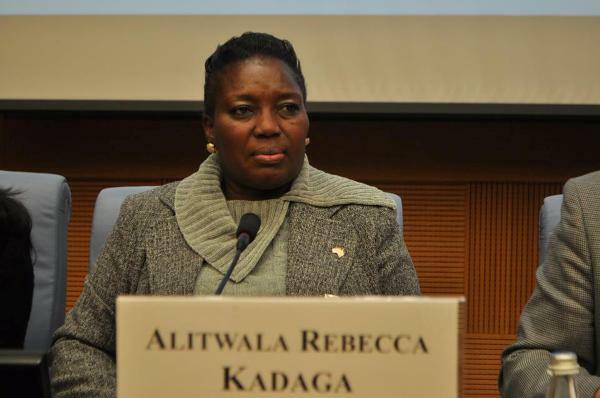 BUNDIBUGYO: The speaker of Parliament, Rebecca Kadaga has decried the discrimination of People living with disability (PWD) and vowed to use her position to fight for their rights. Kadaga said she had received complaints from people with disability about discrimination in schools, hospitals and civil service. “I don’t even know whether there is a PWD employed by Bundibugyo local government of the town council,” she said. Kadaga was speaking at the opening of the women conference in Bundibugyo on Sunday. She noted that she was working towards ensuring that PWDs’ interests are catered for in sectors such as health and justice. “On the issue of Justice, last year while vetting judges we asked them to plan for interpreters to help people who are deaf during court sessions,” she said. Asked to support Bumote disabled unit in Bundibigyo, Kadaga told residents how a similar request had been made during her recent visit to Rukungiri district. She pledged to send a committee of Parliament to visit the unit. “We are soon starting the budget cycle, I will send a committee to visit the unit and the school for disabled in Rukungiri such that they make a comprehensive report to inform the budget process,” she said. The Bundibugyo district woman representative, Hon Josephine Bebona who initiated the women conference noted that the women conference will address such issues and a range of others such as economic empowerment, maternal and child health, gender inclusiveness, domestic violence, hygiene and sanitation, girl child education among others. The conference’s theme was economic empowerment and participation for women as one way of achieving middle income status. “When the time comes Bebona assist me bring these people with their products so that we start getting our own linkages. These could be things you could sell in a supermarket in many countries,” she said. Kadaga said Uganda should target the AGOA market and enable even ordinary Ugandans sell their products to neighboring countries and merit from better markets.